Grooming is an important part of pet care. Depending on the breed, age, and health of your pet, grooming may even need to be a part of you and your pet’s daily routine. Many breeds require less grooming than this, but regular grooming always helps to keep your pet healthy and comfortable. Some breeds don't shed their hair effectively (eg. Poodles) and require grooming by a professional every 6-8 weeks. Long haired cats can particularly benefit from regular grooming as it helps prevent the formation of knots on the skin and hairballs in the stomach. We offer a full range of grooming, clipping and washing services for small breed dogs. At this stage we are unable to do large breed dogs as we do not have suitable facilities. We are able to groom cats, most will require sedation. 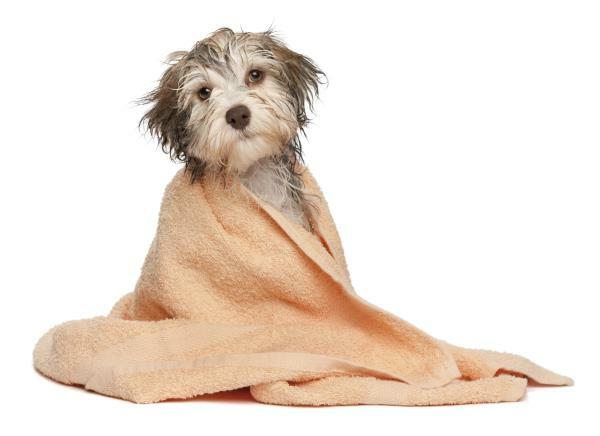 We also wash your pet with a suitable shampoo and conditioner. This makes all the difference in the grooming stage and really brings out the shine in your pet's coat. Our qualified groomer Asami grooms twice a week. She is often booked out well in advance so please call and schedule your appointment now. Please note that cats often require sedation for adequate grooming.